Q: Mark, please give us a history of MKG Financial Group. A: In January 1996, after almost 20 years in the industry, I left Piper Jaffray and started the process of building the MKG Financial Group and to began tracking overall performance. I originally started MKG Financial Group as an NASD-regulated broker/dealer, which gave us the flexibility to do different things. We incorporated Advent software into our operating system from the beginning to ensure accuracy and we hired an outside auditor, Ashland Accounting, to audit for AIMR compliance. As the firm grew in assets and continued to provide a solid performance track record, we established an investment advisory service now registered with the SEC under MKG Capital Advisors, Ltd.
Q: What is your background prior to founding MKG? I have always had a passionate interest in the market, and so with my studies, the securities industry was a perfect fit. In the fall of 1977, I joined Blyth Eastman Dillon's office in Hawaii. Later I moved back to Oregon and joined E. F. Hutton , followed by Shearson Lehman and Piper Jaffray. Today, I still base a lot of my actions on my university studies, in particular case study classes on evaluating companies. Q: What compelled you to specialize in the small-to-mid cap growth sector of the investment market? A: As large corporations experienced downsizing, forcing many of them to spin-off smaller divisions and reduce payrolls, many smaller companies have been created. These companies have been able to tap into an existing highly trained workforce and experienced management teams. Consequently, there are a significant number of companies in the small-to-mid cap category trading at discounts to their valuation levels. Larger companies often prefer not to enter new markets of limited size; instead they opt to help fund projects with smaller companies. As a result small-to-mid cap companies are often the dominant market leaders in many of the newer growth sectors. These smaller companies are at an earlier stage in their growth cycle and therefore grow faster than their larger counterparts. Q: Explain how major growth and economic trends are used in your investment analysis. A: Much of the research work we do involves focusing on trend analysis versus short term variances (aberrations). We then look at the elements of economic growth to see what effect these are having on industry sectors. We believe that business activity, and therefore stock prices will follow these economic trends. A good example was in the 2000-2002 period. Trend analysis showed that even though manufacturing was experiencing a significant downturn, consumer spending and healthcare continued to experience significant growth. Thus we focused on companies that benefited from those growth patterns, such as retailers, pharmaceuticals, and apparel companies. Q: How does your top-down approach arrive at your final investment list? A: Once we have determined the positive economic and growth trends in various sectors, we look at which companies are either the established leaders or companies that are achieving a dominant market share position. We analyze management, products, marketing awareness and visibility. We then determine a company's projected valuation and revenue growth. We usually are looking at current price levels compared to future valuations based on projections that are 12-18 months out. In good markets, valuations will obviously be realized sooner than in times of weaker markets. This provides us with our list of candidates. Q: Does the increased globalization in our economies enter into your analysis? A: Yes, globalization is a primary variable that becomes an active component in almost all analysis today for several reasons. One of which is the fact that Globalization of the world's economies has reduced the volatility in most downturns while lengthening the economic growth periods. The starting point for the last two recessions in the United States, for instance, was eleven years apart, from 1990 until 2001. The other is the fact is that the world market has growing importance for both US buyers and sellers. If you sell products to consumers, most of those products are coming from off -shore; if you are a domestic manufacturer, many of the components and material used in production come from overseas suppliers. Additionally, globalization is important because of potential foreign markets into which to sell for both large and small US companies. Q:Please explain the three sets of criteria needed to fulfill your investment criteria. A: We focus on companies that fit into three distinct categories: fundamental growth, contrarian and special situations. First, the fundamental growth category is made up of companies that have strong earnings and P/Es at discounts to their growth rates, or GARP-growth at a reasonable price. Second, the contrarian category consists of companies whose stock prices have sold off for short-term reasons (i.e. good products and revenue growth, but momentarily declining earnings). Third, we focus on the special situations which are generally longer-term opportunities. These are companies that have already established solid leadership in their space, but that are in sectors that are still developing. In this final category, we are looking for growing revenues, market share, and declining losses or earnings that will turn positive in the foreseeable future. We are not looking for start-ups in new areas or with limited products in development, which would be too reliant on something critical happening in order to be successful. We prefer companies that are further along and working on value-added services or products that will fill a particular, but already realized need, and we're generally more patient in anticipation of a higher rate of return. Although companies in our contrarian and special situation criteria do not always have positive current earnings, the ultimate determining factor behind all of our investment strategies is to own companies that will eventually achieve an acceptable level of earnings and earnings growth needed for determining accurate valuation. Q: Do any of these three criteria allow for investments in the value market-sectors? A: Yes, fundamental and contrarian would apply. The fundamental growth criteria allows for value investing as long as the earnings justify owning the company from a valuation standpoint. Contrarian investing can find areas that also fit the value-investing mode from the standpoint that sometimes investors push a stock down to such a level that you have break-up or cash flow value support. But we generally are looking for earnings to be the eventual driving force behind moving stock prices higher. Q: Please give us general investment examples of each of these criteria. A good example of a company we own, Michael's Stores, fits the fundamental growth criteria. Michael's, whose stock trades at a discount to its valuation holds the dominant position in craft retail. Chico's is another retail company that has traded at a significant discount to its valuation. It's common at times for companies to meet one or more of our criteria for investing, and companies within the retail industry have done this often over the last few years. With regards to contrarian investments, we feel that the stocks of many healthcare and specialty technology companies, such as Teva Pharmaceutical and WebEx, have been underweighted to such an extent that they unjustly trade below their valuation levels. Healthcare stocks, similar to Teva, have become victims of the general weakness in the healthcare industry. WebEx, on the other hand, suffered from market fears of potential competition that has yet to appear. This company retains a 65% market share position in their business. One of the special situations we hold is Affymetrix, the leader in special genetic research equipment. Affymetrix gene-chip applications allow pharmaceutical and biotech companies, and universities to deliver very rapid and diverse results in DNA research projects. Affymetrix has achieved rising annual sales, with quarterly earnings turning positive during 2002. The company is now positioned for above average earnings growth moving this stock into the fundamental growth category going forward. Q:Do you do your own research or does any part of it come from other sources? environment in the sectors we've invested in hasn't changed, that management continues to execute their business plan and that we still own the dominant, market leader at an undervalued level. Pretty normal stuff. Q: Do you ever visit the companies you are buying to assess the quality of management? A: The landscape of research has significantly evolved today, from research firms to regular and event-driven conference calls. As a result we only visit companies when investigating specific areas of concern. With most companies there is increased transparency and generally sufficient reporting for the analysis needed to evaluate the successful execution of management's business plan. I have found that visiting a company doesn't necessarily expose one to any more information than what is available from other sources. Q: How much do you invest in new growth or technology sectors versus more mature sectors? A: We prefer to invest in established companies that dominate their particular niches and are part of a longer-term trend that we have identified. This philosophy applies to all areas. We have always liked technology companies that are on the cutting edge. For example, we like the videoconferencing sectors and hold stock in companies like WebEx and Polycom. We consider this sector to be absolutely critical in shrinking an expanding global market. We were early to invest in technology during the mid-90's when valuations and growth models were too compelling to ignore. However, we avoided the dot.com companies for similar reasons-they never really made sense on paper with too many companies doing the same thing, chasing the same business and spending too much money. When prices for technology companies exceeded their valuation levels based on potential earnings and future growth projections, we sold our technology holdings. Q: What is the average holding period of your investments and what is your annual turnover rate? A: In general I think it's fair to say that we're going to be in a position for around 18 to 24 months, or until valuations warrant a change. This is true, if for no other reason than that the markets continually change. Stocks tend to reach valuation levels a lot quicker in strong bull markets than in weak or drifting markets. As long as our ongoing forecasts tell us that there is good value at any given price we'll hold the position, in some cases more than 4 years On the other hand, we've also had occasions to be out in 4 months when prices have hit our target. Our philosophy is to buy good companies in strong sectors. Once we latch on to a "franchise player", we tend to hold on for the longer term and this leads to a fairly low turnover ratio of about 38%. Again, turnover is affected by overall market conditions. When markets are strong and stocks are hitting their valuations quickly, the turnover ratio is going to go up. Q: What is the average cap size and range in cap size held in your portfolios? A: The average is about $1.7 billion. We've held some fairly small caps at around $200 million and from time to time we've held positions with capitalizations over $20 billion when it was justified by the value. Most of the time however, we find that the best values and growth come in the stocks between $1 billion and $3 billion net cap. Q: How do you diversify your portfolios between your three criteria? A: We do not have a predetermined allocation plan between the three different criteria. The market or opportunities will dictate where we place the greatest emphasis. As the market shifts over time, relative to changes in valuations and investor sentiment, we will find areas of opportunity for investment. Conversely if we find areas that become overvalued we divest. One of the advantages today is that with greater accessibility to research data, it's easier to follow a broader range of investments. Q: Do you re-weight your portfolios depending on changing economic conditions? A: Yes, we will reduce exposure if we perceive that the economy is weakening and thus have an adverse affect on our portfolios. We will also expand the number of positions we hold in our accounts during more turbulent markets or questionable economic periods and reduce the number of positions during strong economic growth periods. Q: Do you adjust your portfolios' when you believe we are headed for a declining stock market? A: It really depends on whether the weaker stock market is a reaction to an economic downturn or simply market uncertainties and aberrations. Despite investors' worries and cautions, if the economy continues to grow creating expansion in business activities for the companies we own, we may continue to hold our positions and use a decline in the markets as an opportunity to purchase additional shares. Generally, during periods of economic weakness, we would tend to hold a higher weighting in our growth criteria companies, which are driven higher and supported more by continued earnings growth. Q: What adjustments did you make during the sell-off of the market in the 2000-2003 bear market? A: First, our interpretation was quite different than many others during this period of time. During 2000, our average return on our portfolios was 18.51%, but we were watching the economy and the markets carefully. We had already exited the technology stocks for valuation reasons and we began to add to a few positions in companies that met our criteria and we viewed as undervalued. But the economy was definitely weakening and what bothered us was the Fed's move to raise interest rates six times during the second half of 2000. During 2001, it became evident that the downturn in the economy had bottomed early in the year and was beginning to recover, as measured by the ISM Index (Institute of Supply Management). In January, the Fed began to act quickly to reduce interest rates and stimulate the economy and the year ended on a solid economic footing and positive GDP growth. Despite the 9/11 attack, the markets had a strong yearend rally. We added to new and existing positions throughout the year based on our view of a growing economy and finished the year with an average return in our portfolios of 63.11%. 2002 was a different story, and a difficult year. The economy continued to grow significantly, as measured by GDP growth, the ISM and significant year-over-year increases in corporate operating profits. And although the market rallied on the backs of solid quarterly earnings reporting, it continued to be extremely fragile with investor confidence weakened by bearish sentiment and corporate scandals. We maintained our positions based on the very visible strengthening of the economy and growing corporate profits. Normally, this would have caused valuations in the companies we held to continue to rise. Despite this fact, a lot of our positions experienced significant profit-taking following very strong performance in 2001. We ended the year down -44.32%. During 2003, first quarter was definitely influenced by uncertainty surrounding the Iraq conflict with economic activity slowing as corporations and consumers put planned purchases on hold. Stock prices, however, dropped so far below logical valuation measurements that when reports on the war began to show positive action, the market instantaneously began to rebound. We used this opportunity to tweak positions by moving funds into positions that showed the potential for strong performance. As the year unfolded, the economy continued to gain steam and the market responded with increased momentum recovering closer to our valuation models. 2002 proved to be an aberration and our average return on investments in 2003 was 46.21%. Q:Who are the other principals in the firm and what are their backgrounds? A: I am the principal owner of MKG Financial Group, which is an NASD registered broker/dealer, and MKG Capital Advisors Ltd., an SEC registered investment advisor. We currently have nine employees and the goal is to eventually transition part ownership to the employees as the firms grows. Consequently, we have been able to bring to the firm value-added employees with significant experience in the securities industry. 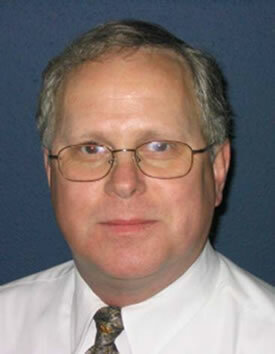 Bruce Ball, Senior Vice President, Institutional Sales and Marketing, has 38 years in the industry. Our sales department includes Miles Price, with over 20 years experience, who previously managed his own investment advisory firm, and Ed Phillips, who worked in municipal finance for over 30 years. Janet Hays, with over 35 years of operations experience, supervises our operations department and Scott Thayer, Director of Information Services, with 18 years, handles reconciliation and performance reporting for accounts and AIMR compliance issues. So, as you can see very qualified and capable people. Q:Please describe a typical investor for your management services and what you offer versus other investment choices? A: The high net worth investor still dominates our client ranks although we have been moving steadily into the institutional space. What many people have found appealing is our ability to raise the overall Alpha numbers for a portfolio. This is especially true for those situations that employ a "core and satellite" or "alpha transfer" strategy. Historically, our Alpha numbers place us in the top 5% of most peer databases. In addition, while our upside capture ratio is about 105% our downside ratio is only 65%. This gives us the ability to bring those strong Alpha numbers and have a very positive impact on a portfolio without a commensurate increase in downside risk. We also tend to run a more concentrated portfolio, which produces little position overlap with other managers. Q: Finally, please give a philosophical and style summary. A: Simply stated, we try to buy good companies in good industries for our clients. We're position builders, which means that we seldom fear market downturns or volatility. Market weakness provides us an opportunity to add to positions. We generally build portfolios that are more highly concentrated with positions that range between 3-12%. Finding the right company starts with economic and growth trend analysis. We've found over time that we have a high degree of accuracy in our economic observations and have benefited when other investment managers have moved money into these leading or undervalued growth areas.